The first small group meeting for baseball on the proposed Practice Complex will be held October 5, 2011 at 48 Rock, 2436 North 48th at 6:30 p.m. About 150 youth coaches and others attended an open house to give feedback and suggestions for a proposed practice complex near Van Dorn Street and Park Boulevard at the September meeting. The attendance at the gathering suggested that a youth sports practice complex meetings be broken into small group meetings for further work. "There is more energy for youth baseball in Lincoln," Ayars said Thursday. "We had rooms full of people with wonderful ideas." Mike Ayars is President of Ayars & Ayars, Inc. a Design-Build firm. He said "the plan is to think big, and then get real and develop a strategy." 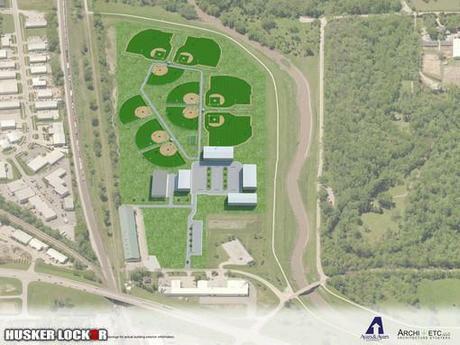 Tentative plans include five specialized buildings for baseball and softball, basketball, swimming, volleyball and wrestling, plus four regulation baseball fields and six youth baseball and softball fields.